When you are hard at work the last thing you want to worry about is whether your clothing is going to rip or not. Give these Wrangler Riggs Men's Black 3W360 BK Cotton Ripstop Ranger Shorts a shot and quit worrying about every little tear ruining your workwear. ... (see full details) (see specifications) #WRG3W360BK. When you are hard at work the last thing you want to worry about is whether your clothing is going to rip or not. Give these Wrangler Riggs Men's Black 3W360 BK Cotton Ripstop Ranger Shorts a shot and quit worrying about every little tear ruining your workwear. What's the secret? These tough Riggs cargo-style short pants are made of 100% ripstop cotton fabric. That means that even if a rip does begin on your men's shorts, the material will stop it in its tracks. In addition, they feature reinforced front panels, triple-needle stitching, 1/4-inch x 2 1/4-inch belt loops that hold up to a sturdy belt, and a #5 YKK zipper. You can wear these on even the toughest of work days and feel comfortable that they will stay in one piece. Speaking of comfort, these Ranger shorts are exactly that: comfortable. The10-ounce 100% cotton material is not only durable it's also soft and breathable, too. And these work shorts feature a generous 11-inch inseam made to hit below the knee and the exclusive relaxed Room2Move® fit with an action gusset at the crotch, giving you great freedom of movement and an improved fit for all-day comfort. Let's talk about storage for a minute. These Riggs shorts solve the where-do-I-put-it-all blues. Up front, there are plenty of spots to stick your odds and ends. The watch pocket is oversized, and the front pockets are 13 inches deep. The right front pocket even has a tape measure reinforcement. The back pockets are reinforced at stress points and lined with tough 1000-Denier Cordura® fabric. A hammer loop on the right side and side cargo pockets with flaps and concealed snaps round out the storage options. Enjoy the comfort of shorts without giving up tough wear and storage with these Wrangler Riggs Men's Black 3W360 BK Cotton Ripstop Ranger Shorts and see just how much easier they can make your workday. I wear the Wrangler Riggs Ranger Rip Stop work pants, and like them every much. Thought I would try the Ranger shorts. They are evert bit as good as the pants. Will definitely be buying these pants and shorts again. Just began wearing Wrangler Ranger cargo pants last winter and was sold on the quality material and workmanship. The cargo shorts are of the same high quality, heavy duty fabric and reinforced seams as the pants. The fit remains unchanged after repeated laundering. The wrangler ranger cargos are my new standard for to wear for work and recreation. Got these to replace the standard carpenter shorts as I wanted another option besides regular denim. I've worn them a few times already at work and have already gotten compliments. It's nice to have all the storage area to carry all my stuff instead of having to use other pouches or belts. I also ride my bike to work and they work well for that too. Love the fact that they held up working outside, all summer! My husband goes through shorts in his line of work. These, even if they did get snagged on something, did not rip or tear! They are not high priced either so they will not break the bank. HE also says they are cool and comfortable, not heavy at all! Black is a welcome addition. hard working, washable by machine, muted choice of colors, comfortable all day. Plenty of pockets storage pockets snap shut tight as opposed to the hassle and unreliablility of velcro. I purchased these shorts for my husband and sons, they can even wear them out to social occasions and functions comfortably. 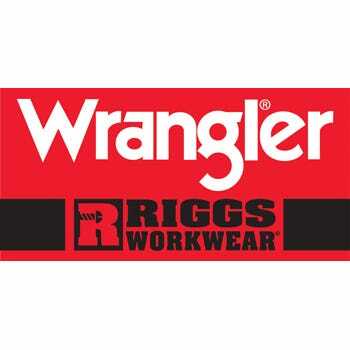 Wrangler Riggs Shorts: Men's Black 3W360 BK Cotton Ripstop Ranger Shorts is being added to your cart.